The RRB Group D answer key will be released on the respective regional RRB websites. Candidates are advised to keep a check on the websites and need to keep in mind that they have to check the answer key through the link available. 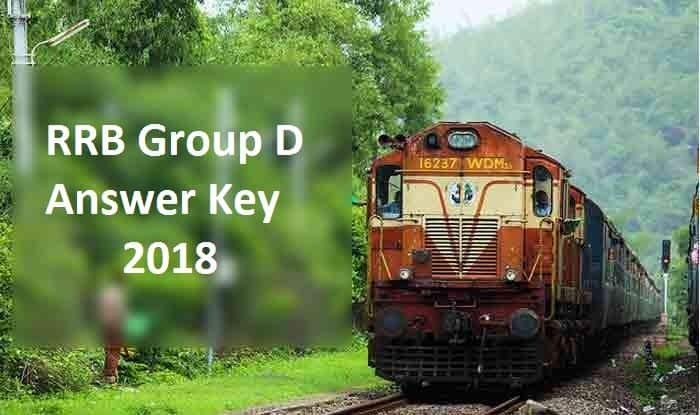 RRB Group D Answer Key 2018: The RRB Group D Answer Key 2018 is likely to be released on Friday. The Railway Recruitment Boards (RRBs) are expected to release the answer key for Group D CBT today on the official website. A formal announcement is awaited regarding the same. The RRB Group D answer key will be released on the respective regional RRB websites. Candidates are advised to keep a check on the websites and keep in mind that they have to check the answer key through the link available. Step 1: Visit the RRBs regional official websites. Step 2: Click on the link- RRB Group D Answer Key 2018. Step 3: Download the respective answer key. Step 4: Match your answers and check your score. Recruitment for Group D posts is being carried out for at least 63,000 vacancies with over 1.9 crore candidates applying for the same. RRB Group D recruitment process involved a Computer-Based Test (CBT), a Physical Efficiency Test (PET), and Document Verification process. The RRBs will notify the dates and other details for PET and Document Verification process. After RRB Group D result declaration, RRBs will also conduct the fee refund process for candidates who appeared in the Group D CBT. The decision to refund application fee partially/fully was taken after candidates due to appear for the exam protested against the abrupt fee hike introduced this year. The details related to RRB Group D recruitment and selection process will be intimated through the official websites.